Love, laughter, and joy filled the crisp Fall air at Nikki & Justin’s wedding last weekend! Nikki absolutely glowed from head to toe with all of her amazing details. 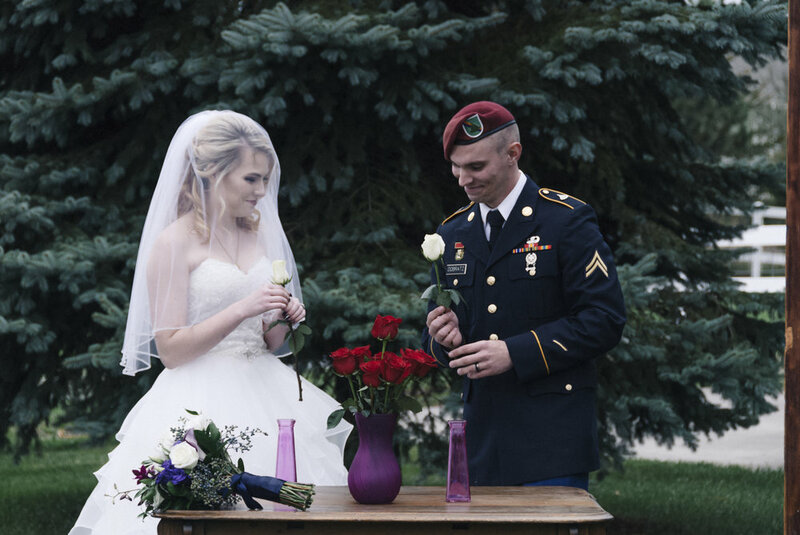 She wore a locket around her neck (an heirloom, filled with flowers from her mother’s wedding bouquet), and a garter made from two generations of wedding dresses in her family. Justin looked wore his military uniform and looked so classy! His reaction to Nikki when they shared their first look was so genuine and incredible to witness. Their ceremony was officiated by a close friend of the family. It included quotes from The Princess Bride (“Marwage bwings us togethaw….”), vows written to each other, jokes that made their friends and family laugh with them, and a rose ceremony with their close family members. 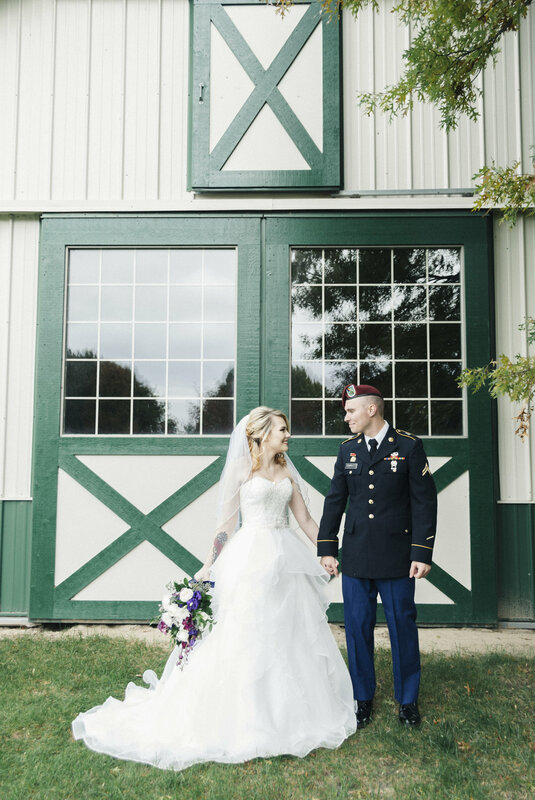 Their reception included a taco buffet, toasts by their family and wedding party and dances that made everyone tear up. I was so honored to have been able to witness and capture this special day for these two high school sweet hearts! I wish them both all the best in their marriage together. I would like to thank Chad Pederson for helping me capture this day for them!